This Bag Has Your Back | Valet. 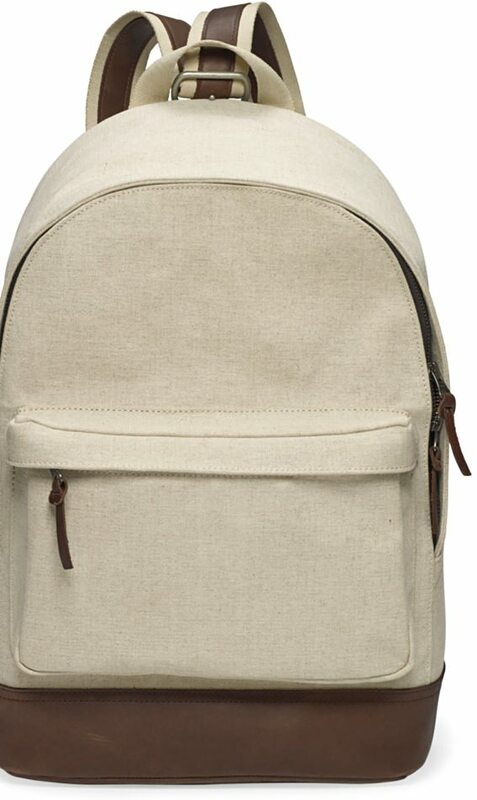 For guys who are always on the go, a backpack makes a great investment. Unlike unwieldy totes or a briefcase that requires constant hand holding, a backpack straps on securely and goes everywhere you go. Freeing up your hands to handle important things like your coffee and Instagram feed. This one, from Club Monaco, is pretty much perfect. Crafted from hard-wearing vegetable-tanned leather and sturdy canvas, the clean lines of its simple, classic design means it's as ruggedly handsome as it is refined. A unique, single-piece shoulder strap adds distinction, not to mention durability. In the US, backpack sales for men over the age of 18 were up 23% over last year, according to consumer-tracking data by researcher NPD Group. A cooler and easier-to-carry alternative to a tote or briefcase. Our time-tested tips for a less tense trip.